Yeehaw! 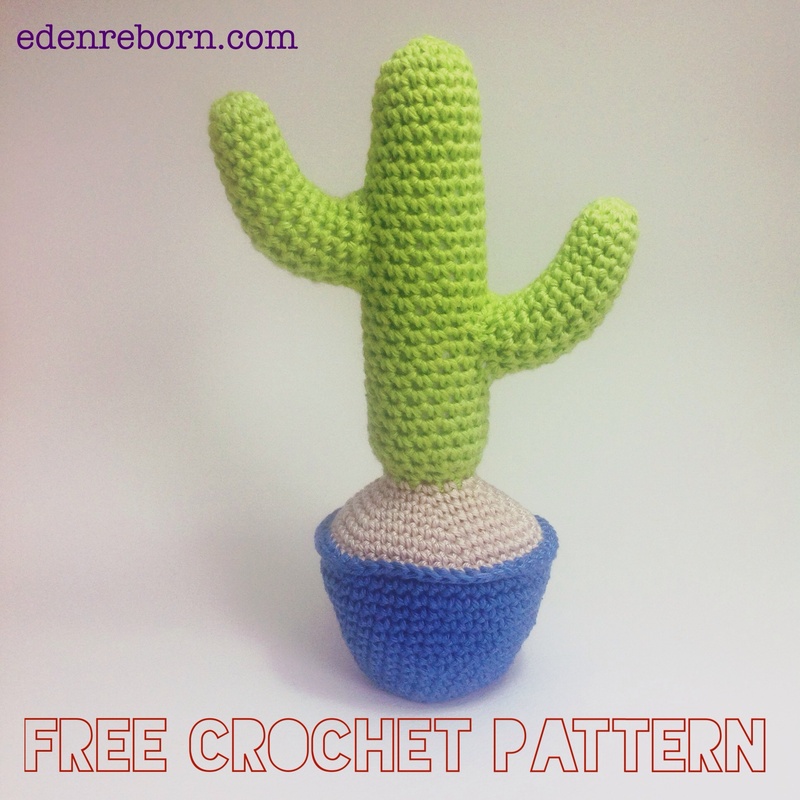 If you are looking for a free cactus crochet pattern then you have come to the right place. 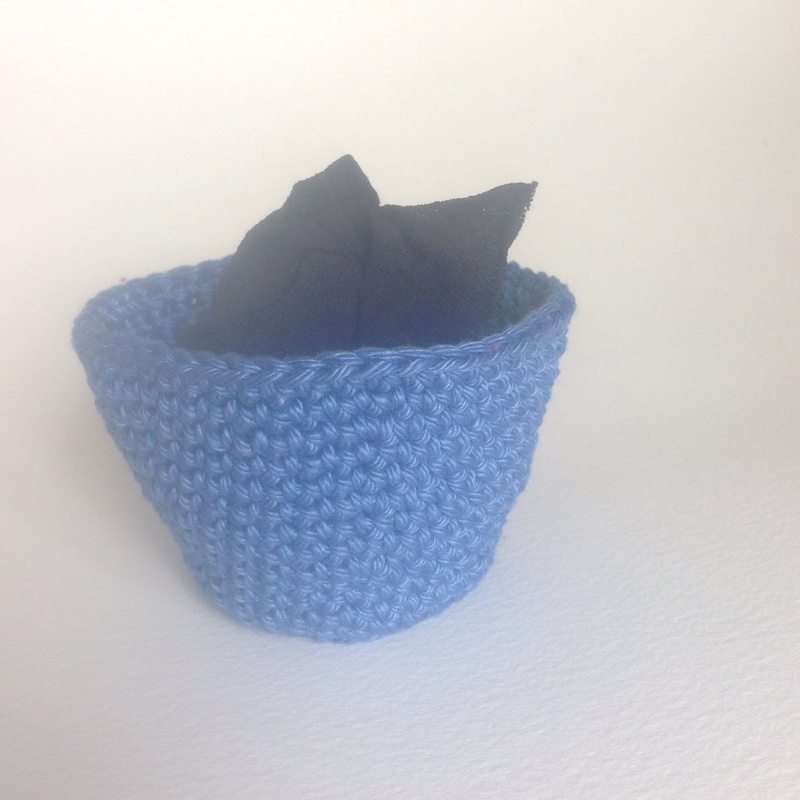 This little fellow is quick, simple and would make a fun addition to your desk or last minute gift for a friend. Green, sand and blue (or your choice) yarn of all the same weight. I used a DK / light worsted weight cotton. 2.5mm crochet hook or size appropriate to your yarn choice. Fasten off, leaving a long sewing length. Stuff, making sure you can still bend the arms into shape. The front loop sc should be at the bottom of the arms, allowing you to curve the piece. Finish the pot with three slip stitches in first three sc of previous round. Fasten off and weave in loose ends. Pin arms to the main stem and sew in place. If you want to weight the bottom of your pot, cut a foot of a pair of tights, place some gravel, uncooked rice or glass beads inside, check it fits the pot and tie securely. Place in bottom of pot and begin to sew the stem piece to round 17 of pot, stuffing firmly with wadding before you sew closed. Weave in ends and enjoy! 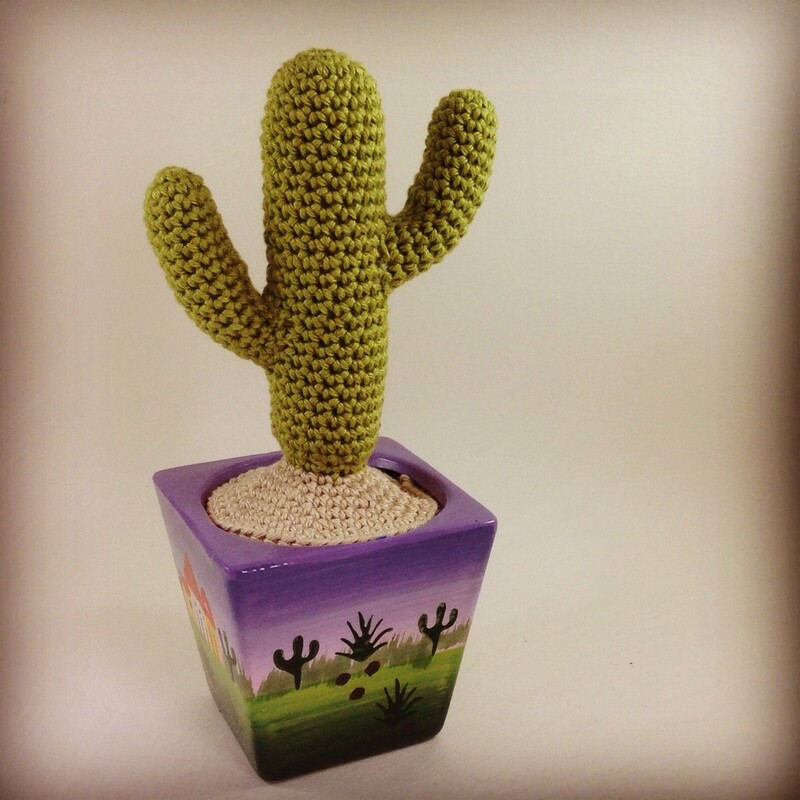 As an alternative idea, you could use a terracotta pot or teacup as the base for your crochet cactus. Simply complete the stem and arms as above, increasing or decreasing the sand base to fit your pot as necessary. stuff and glue the rim of base to your pot. A glue gun or an all-purpose adhesive like UHU works well. 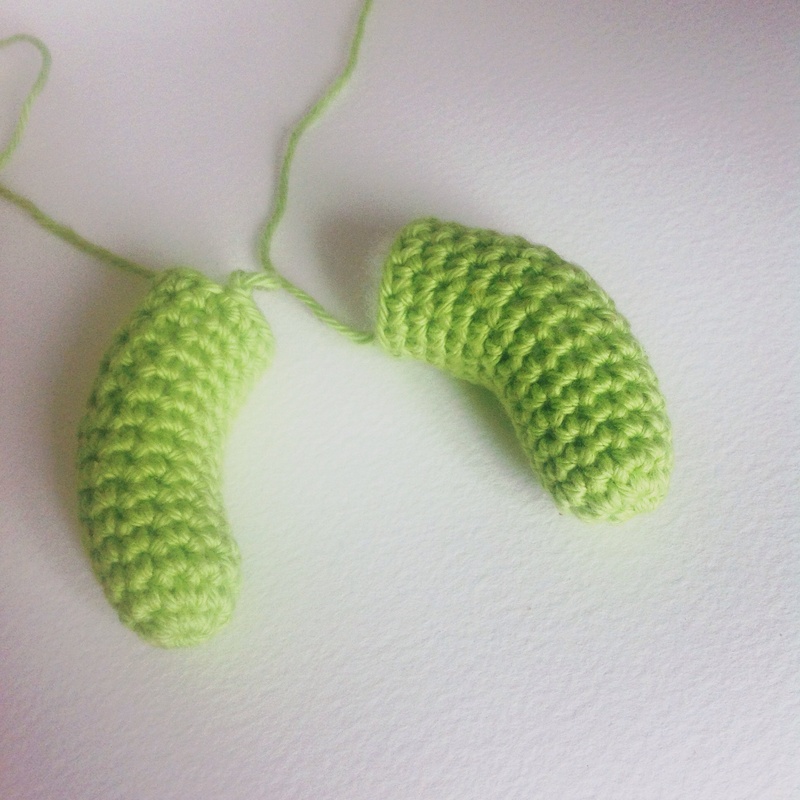 You are welcome to sell any items you make from this pattern but please do not copy or post this pattern on another blog, website or in printed format without prior written permission from me. You are welcome to link to this site or pin images directly from it as long as you credit me as the author. Please feel free to share you makes with me via social media or leave your link in the comments below. Posted in Crochet, Free Patterns and tagged Amigurumi, Crochet, Free Pattern, Patterns, Stash busting. How do you make your increase in the round? 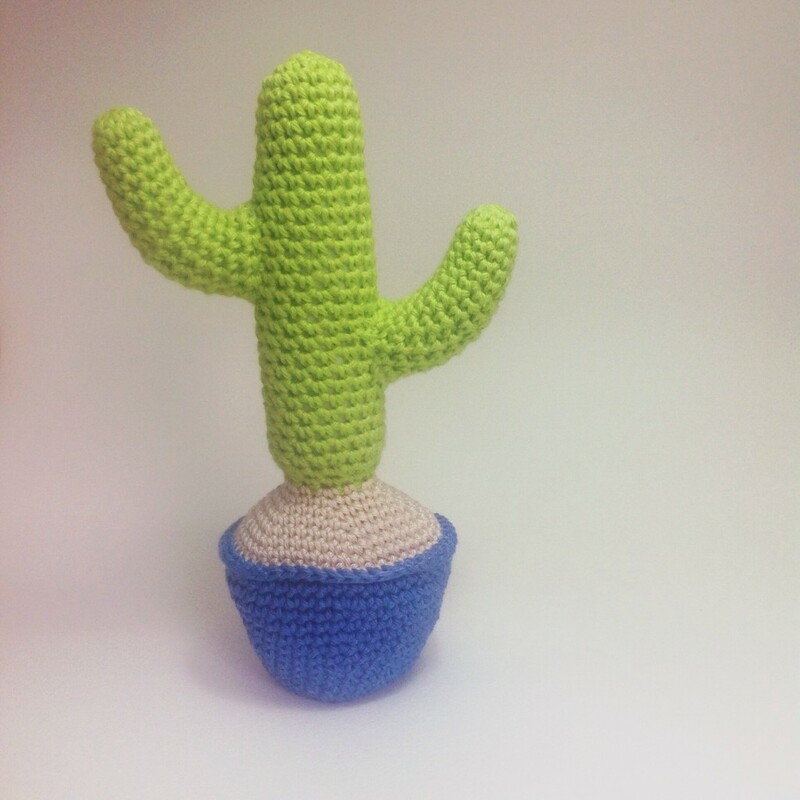 I’m new to making cacti and want to figure it out do it’s easier for a beginner.